KIRBY 2017: A week to go! 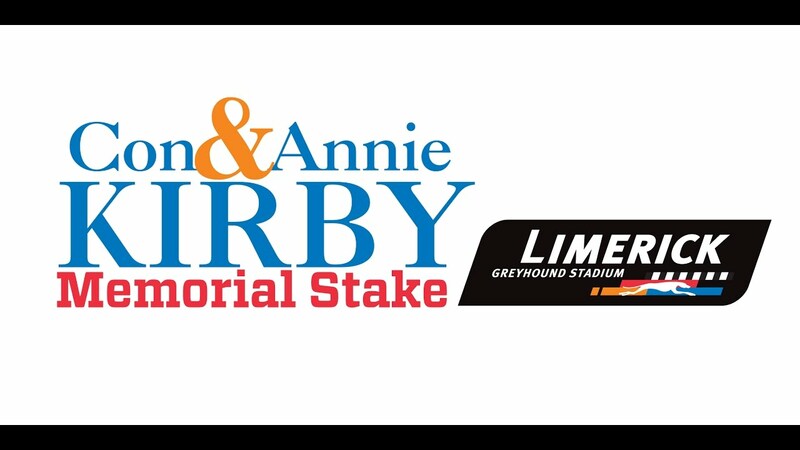 This coming Saturday night at Limerick Greyhound Stadium may prove hugely valuable in seeking form pointers ahead of the 2017 Con & Annie Kirby Memorial Puppy Stake commencement on March 11th. A high quality list of entries throughout the card features many already entered for the Kirby and a few more who are likely to be in the drum come the draw on Tuesday at noon. Trials before racing are also likely to see some hopefuls take a final opportunity to acquaint themselves with the Greenpark venue but from Race 5, an A3 event, form students should be very attentive. A well related debutant, Elusive Heights catches the eye in Trap 1 here while Clonbrien Hero ran plenty well enough in the Juvenile at Tralee in his career start and occupies Trap 2. Michael Hogan's half brother to his talented Grangeview Puma, Grangeview Bud, takes a rise for his A7 rout last time but it would be no shock if he proved to be well above average and even the ten race maiden, Jacks Magic in Trap 4 has hinted at much more ability than his strike rate would suggest. Trap 5 houses a hugely interesting entrant here and Tom O'Neill's dual sprint winning pup is certain to command much respect in a race that really is A3 in name only! The ninth race, an A1 event brings three promising Kirby contenders side by side in the inside traps with Droopys Payet, fresh from his Juvenile Classic semi-final elimination, in Trap 1, a very interesting runner for the Divilly kennels with Crafty Trivago in Trap 2 and Lughill Robbie for Graham Holland in Trap 3 who appeared to be shaking off his early career greenness last time out. In Kirby terms, the A2 525 Yard Race 10 will likely be all about the recent Paul Hennessy recruit Jaytee Barracuda who looked a certain future star despite defeat in the Tralee Juvenile. His debut there saw him display hugely impressive pace behind the fastest Round 1 winner and we should get a first insight as to his Kirby credentials now. Hennessy will too be hoping that Chawke It Down can rubber stamp his Kirby entry in the A0 525 yard Race 11 but most eyes will be on Irish St Leger semi-finalist Burgess Dubh here. He went on every shortlist for the Kirby when running so well at Limerick in the All Age classic and if he can avoid the bumps of last week's return, may lay down a marker in advance of next week's first round.